John Cable, director of the Project Management Center of Excellence in the Department of Civil and Environmental Engineering, spoke with Kendall Lott last month about the success of the 2018 Project Management Symposium. Lott hosts the podcast series PM Point of View, provided through the D.C. chapter of the Project Management Institute. 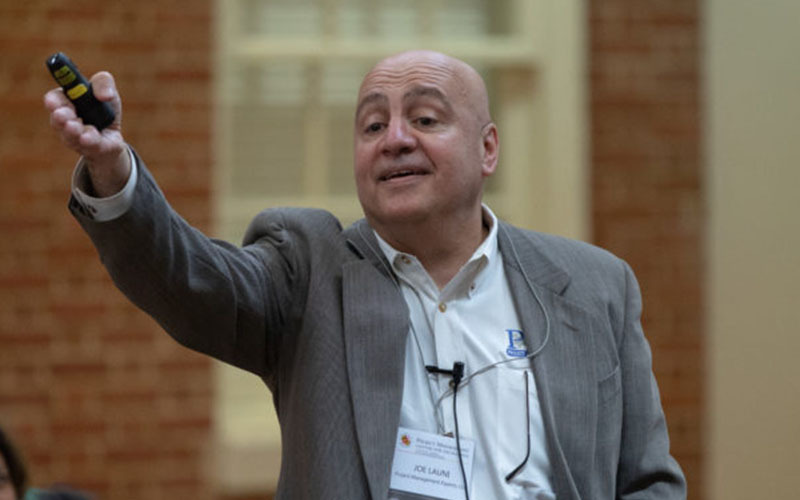 "Our goal was to have an interdisciplinary event that would be interesting to people from many different walks of life—the only common denominator is project management," said Cable, noting that the fifth annual symposium had the largest attendance to date. During the episode, Lott shared insights from five project managers who presented in the People in Projects track at this year's symposium: Aimee Baxter, Pamela Davis-Ghavami, Joseph Launi, Bob McGannon, and Myles Miller. The episode is the first of three that will feature knowledge and practices shared during the 2018 symposium, with the other two airing in August and October. Stream the episodes online or downlaod them from iTunes or TuneIn.